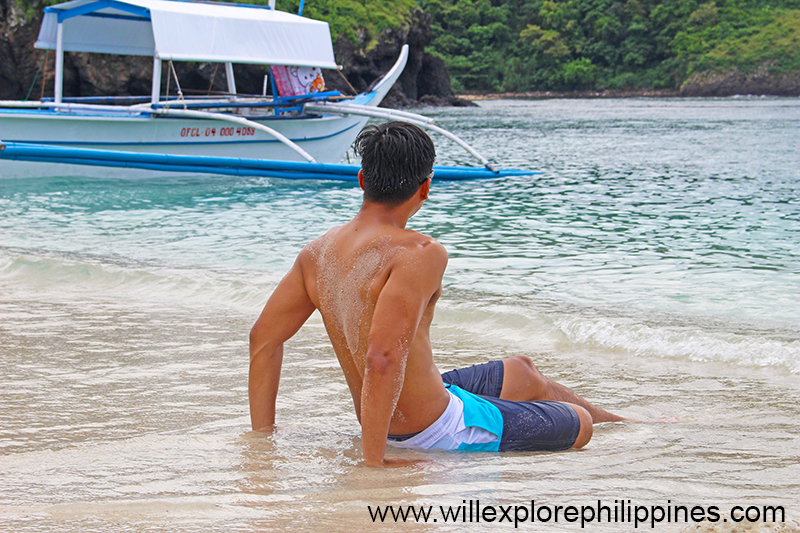 Batangas is one of the most visited places near Metro Manila because of its proximity and natural wonders evident through its pristine white sand beaches, diving sites, heritage sites and the famous Taal Volcano. 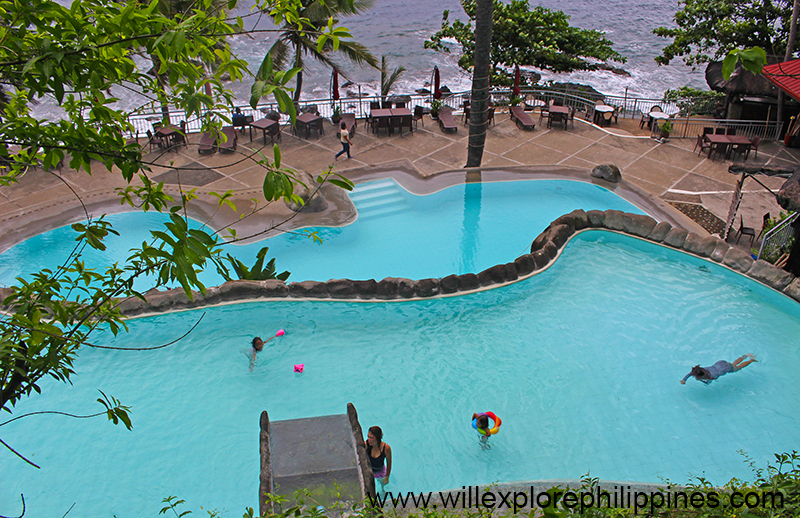 For this blog, we will explore Eagle Point Resort located in Mabini Batangas, a first class municipality with amazing islands, beaches, and snorkeling and diving sites. 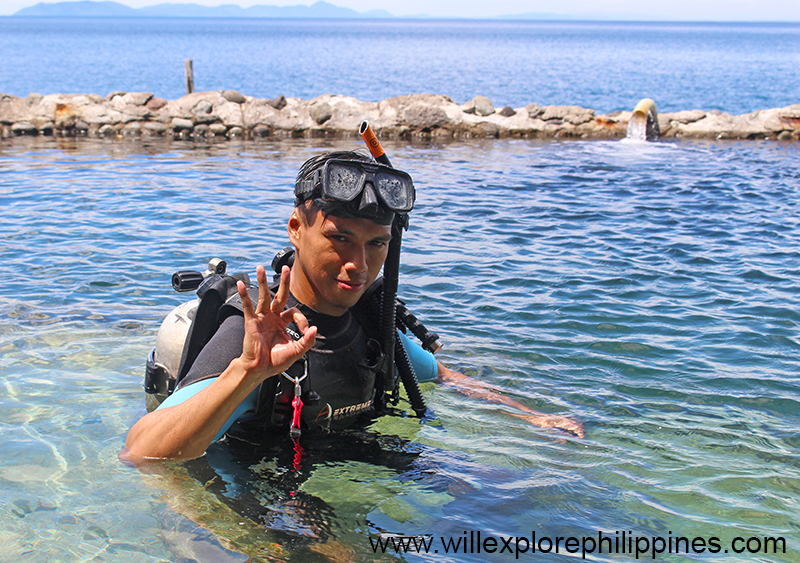 Anilao is also part of Mabini, which is known for its diving sites in the Philippines. 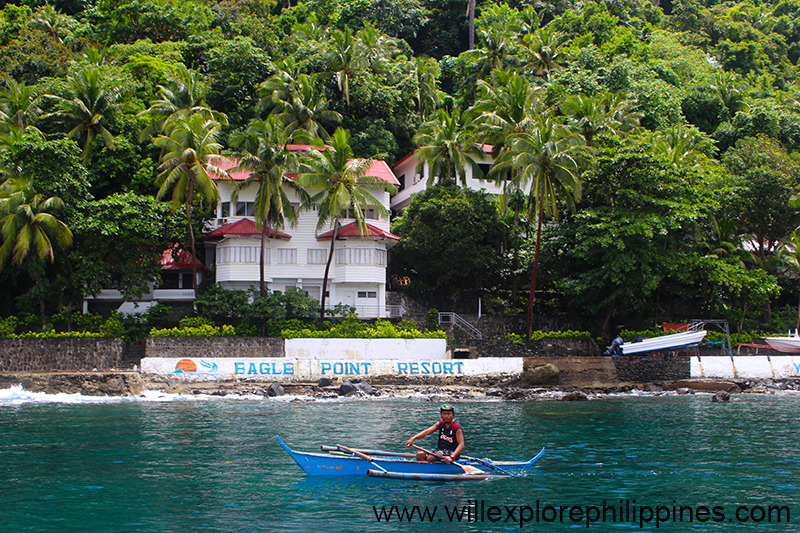 Eagle Point Resort is situated in Bagalangit, Mabini Batangas, which is at the tip of Calumpang Peninsula and Balayan Bay in the south. This resort offers different water activities, comfortable accommodation, restaurant and relaxation at Sepoc beach/island. 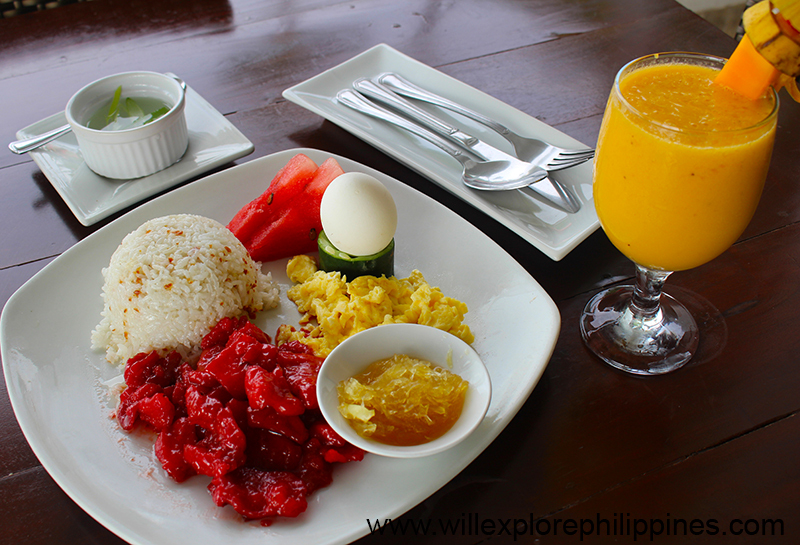 It took us only 2 hours travel going to Mabini Batangas from Makati for we travelled at 5am. We arrived at the resort around 7am; it’s just perfect for we have enough time rest before exploring the resort. Travel time is hassle free, so take the early trip going to Batangas as not be be stressed with the traffic during rush hours. The newly-opened 7.5 kilometer link road connecting the South Luzon Expressway (SLEX) to the South Luzon Arterial Road (STAR) Tollway makes the travel time easy and faster. 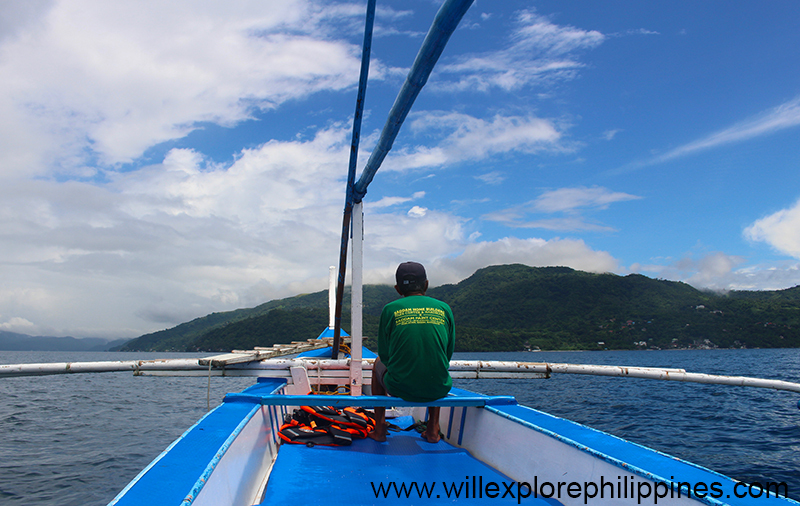 Shorten travel time is one of the reasons why you should explore Batangas more often. Get off at Batangas City Bus Terminal and transfer to a Mabini bound jeep to take you to Anilao Port, fare is P40 per pax and travel time is around 45 minutes. At Anilao Port, catch a tricycle to your resort, fare starts at P60 per trike to P100 and travel time takes at least 10 minutes. Check in only took us few minutes then we bring our stuff to our room. 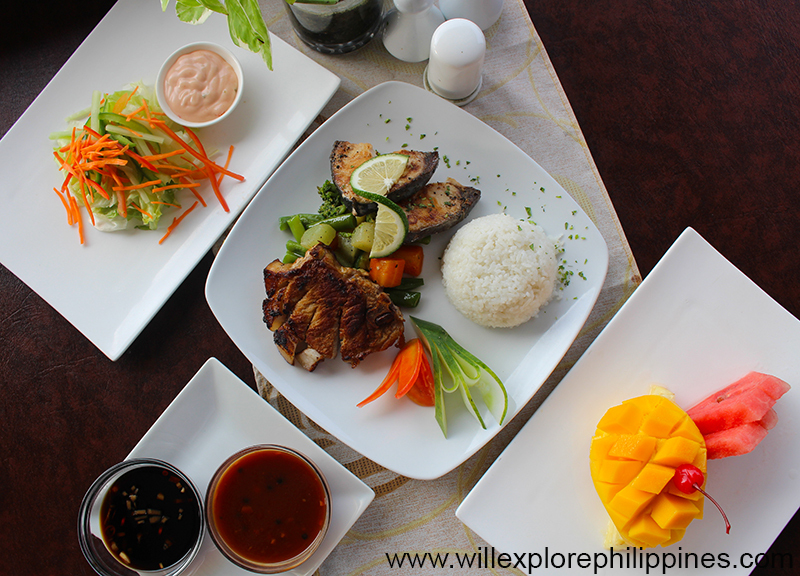 We stayed in a Deluxe Terrace Room, a Mediterranean-inspired hotel room with seaside balcony overlooking the Balayan Bay. The hotel room is quite spacious and relaxing I must say. I look the overall feel of the room that is perfect for a staycation. The room were we stayed has a seaside balcony overlooking tranquil Balayan Bay and furnished with necessary bathroom amenities, Television set, refrigerator, cabinet with In-room safety box and complimentary water. After we checked in, we head up to take our breakfast. 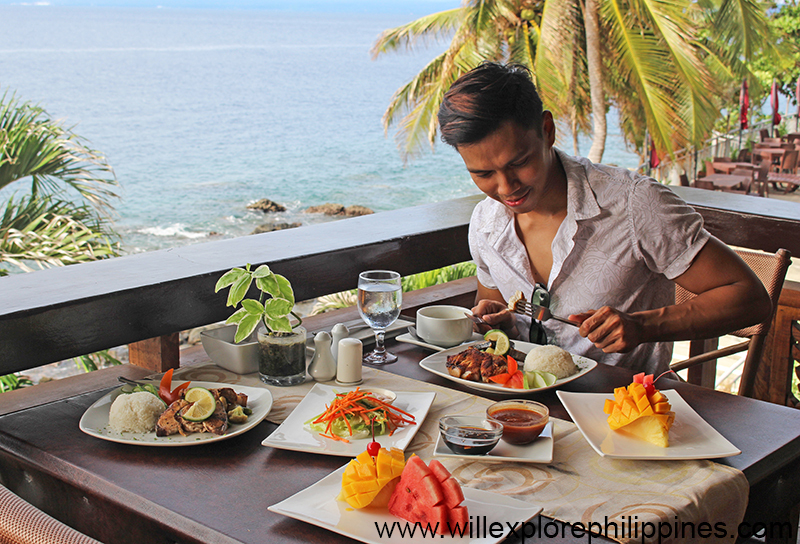 The food is just ok but the view is breathtaking for the restaurant is overlooking the ocean, what a relaxing view to witness which filling our tummies with sumptuous food. 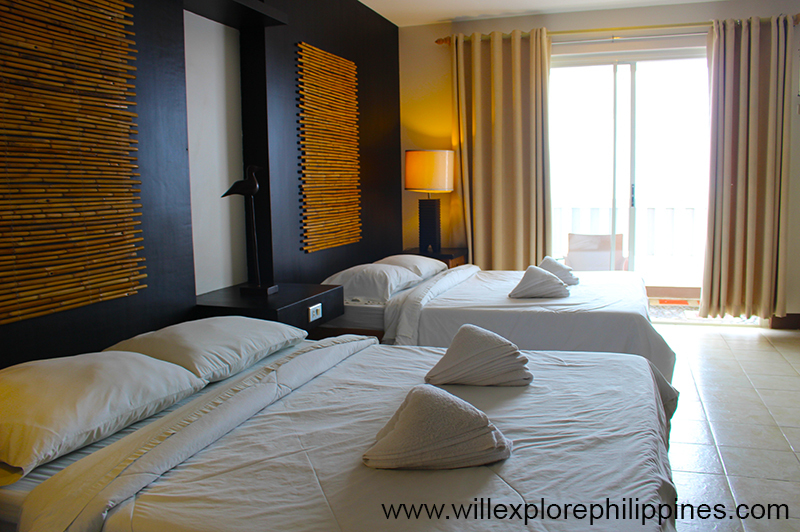 We go back to our hotel room and take a nap before exploring the resort. After an energizing nap and freshen up, we go outside and see the amenities and facilities of the resort. 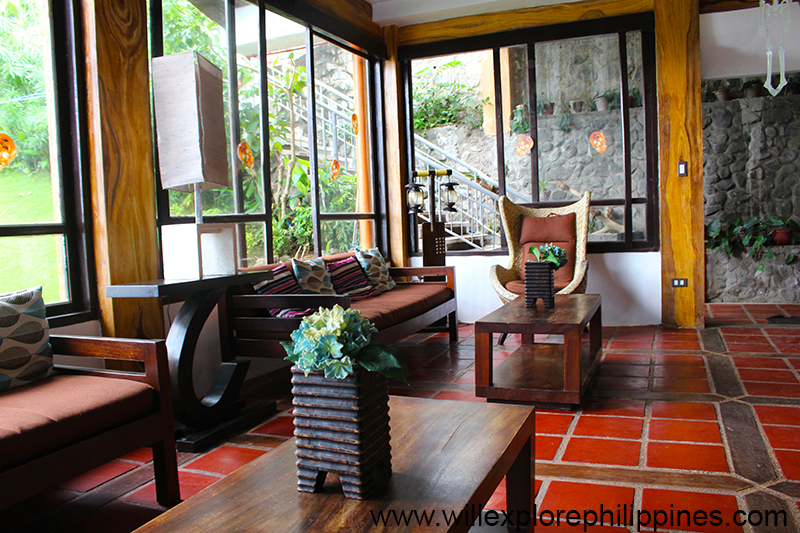 Have a glimpse of what you can see and experience in the resort. The Main Core houses the reception area, front office, the in-houserestaurant and bar and gift/souvenir shop. The over-all ambiance promotes a cozy wooden and laidback countryside theme characterized by the use of earth colors and furnitures. 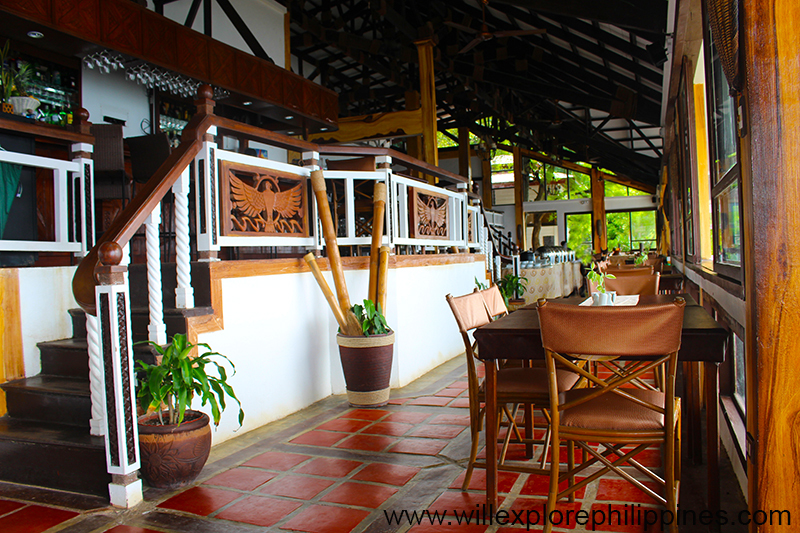 The resort’s in house restaurant has a panoramic view overseeing the Balayan Bay. If you love basking in the swimming pool before heading to the beach, the resort has 4 swimming pools. It has three fresh water and one salt water. The two-level fresh water pools which is a walking distance away from the main core and terrace hotel has a splendid view of the sea. Its upper pool has a 2 man-made waterfalls and a small slide to the lower pool. 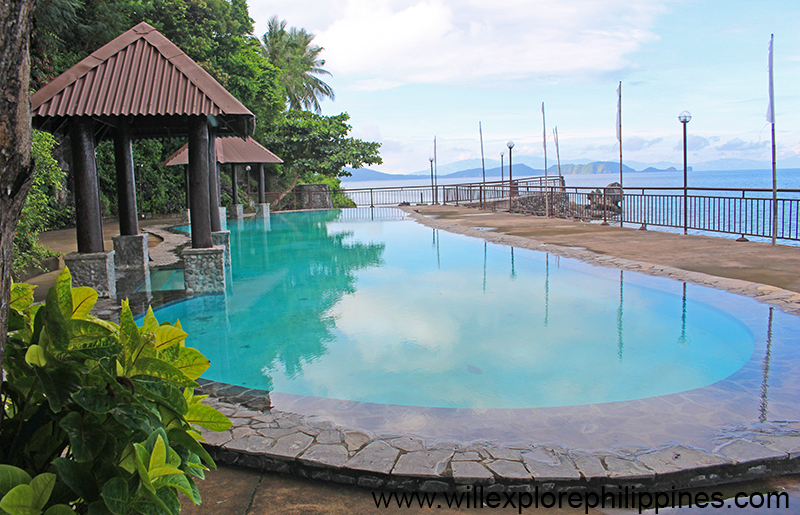 The other freshwater pool is located at the south end resort with a breathtaking view of the sea. You can also try the Saltwater Reef Pool. 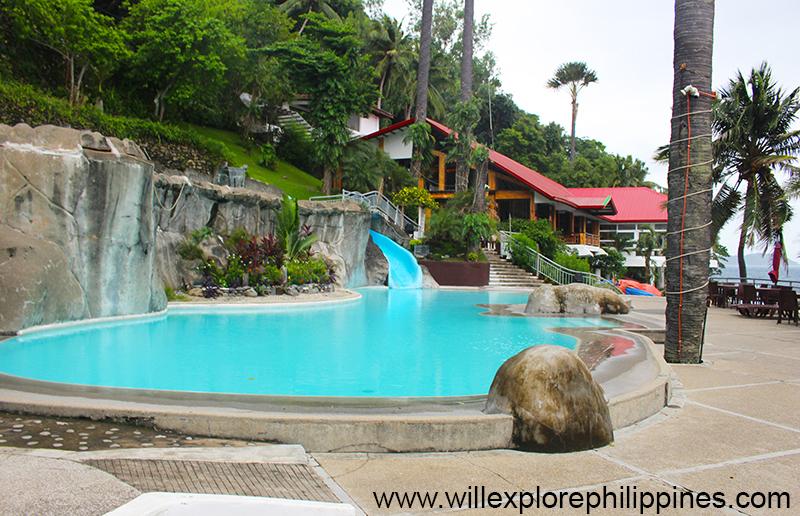 This one-of-a-kind simulated eco-system pool contains colorful fishes, baby sharks, sea turtle and corals. It is typically describe as a large aquarium filled with marine fauna. 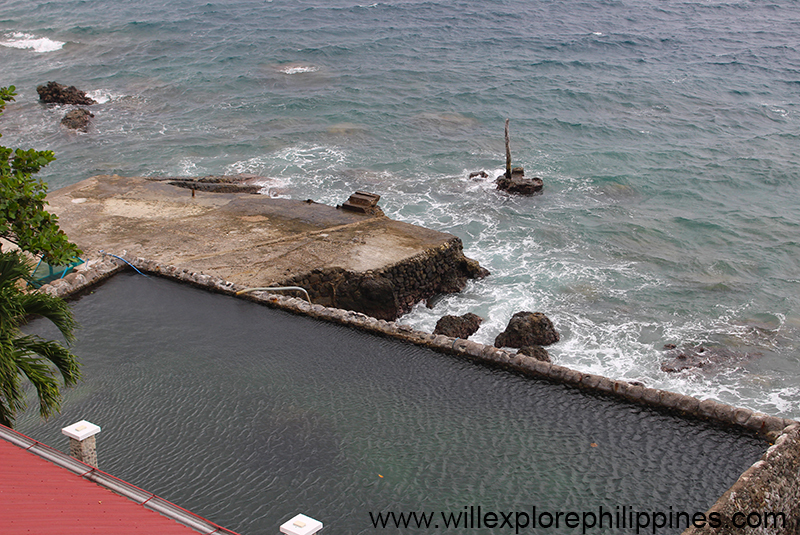 The saltwater pool also serves as place for beginners in diving and snorkeling. There’s a Helipad or a landing area or platform for helicopters and powered lift aircraft that is also a good setting for some photo shoots alongside its Seaside Walkway, Seaside Deck and Shoreline on the other side of the resort. 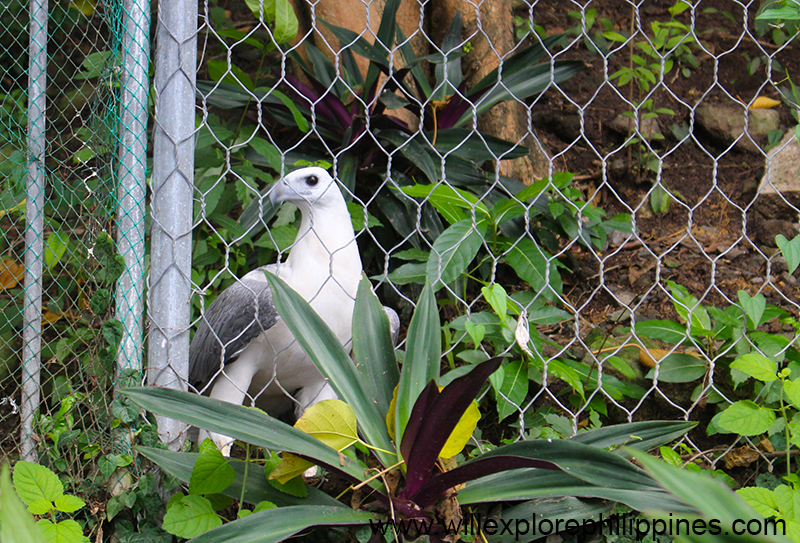 An Eagle Aviary is also an added attraction if you walk in the greenery and lush surroundings within the resort complimented by the fresh air and ocean breeze. For those who preferred to spend quality time engaging into some indoor activities, you can indulge to its Entertainment Center like karaoke and video games and Game Room such as billiard, darts and table tennis). There’s also a Basketball and Tennis Court if you want to play on your free time with your set of friends that build group camaraderie and cardio exercise at the same time. In the resort, you can enjoy water activities for both leisure and adventure seekers You can do snorkelling to explore the pristine coral gardens and underwater sights along the shoreline or in the nearby Sepoc Beach. 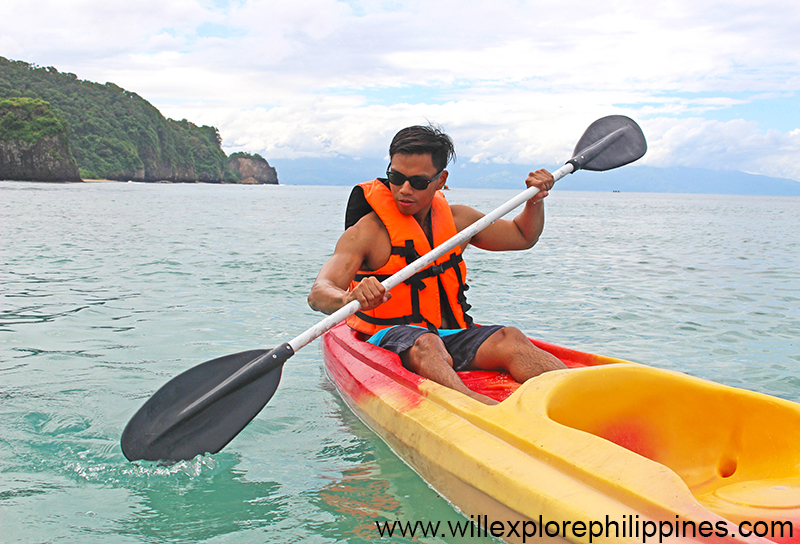 There are other aqua sports facilities provided such as kayaks, banana boat Ride and speedboats for those adventure-seekers guest who want to enjoy the thrill and fun of outdoor activities. You can also do the relaxing and socially-engaging fish feeding at water pool aquarium and fishing at the bountiful sea of Eagle Point’s marine sanctuary. There are also available scuba diving courses for guests both for beginners and licensed divers. Introduction to Diving courses for beginners to experience the wonders and natural habitat of the underwater haven with a guidance and supervision from its in-house diving instructor. 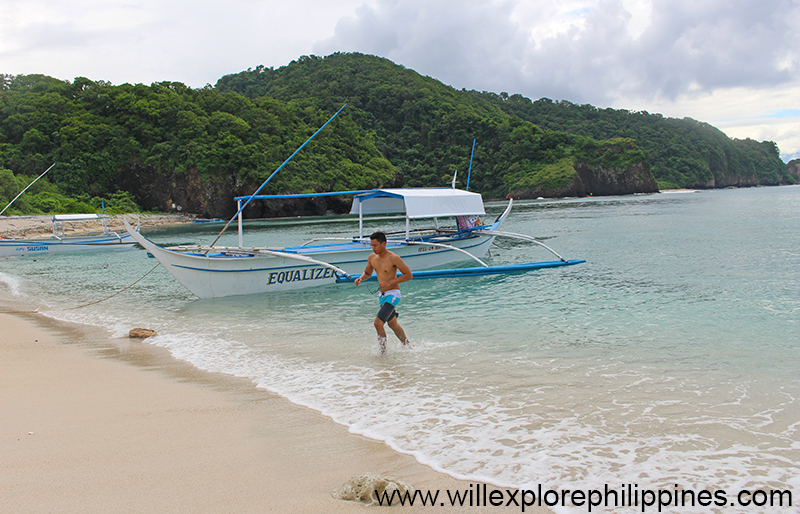 They also have island hopping tour just approach the Front Desk personnel to arrange it for you. 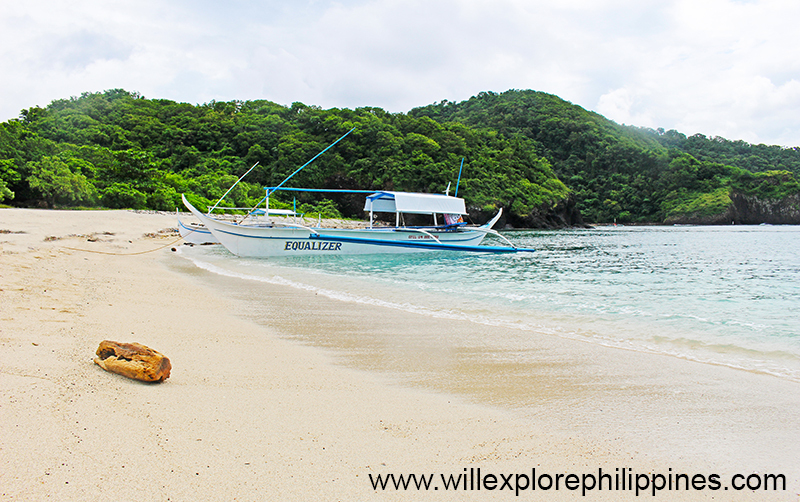 Sepoc Beach is an exclusive island for the beach resort in Batangas and privately-owned island paradise in Maricaban Island where guests can experience privacy and exclusivity exploring the pristine white sand beach of the whole island. Getting there is about 15 to 20 minutes boat ride from the resort. 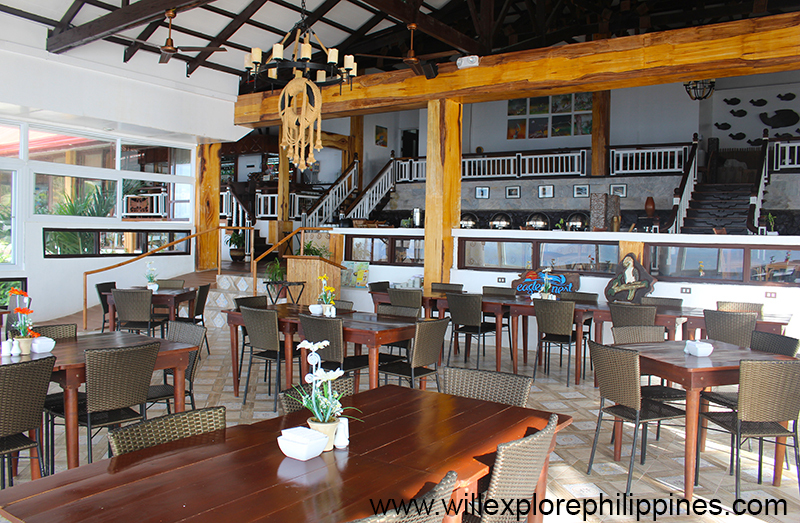 The island has a bar, open dining area, shower rooms and beach volleyball area. It has mini-forest trail going to the other side of the island with few superb rock formations around and the light trekking activity going to the top of the hill. 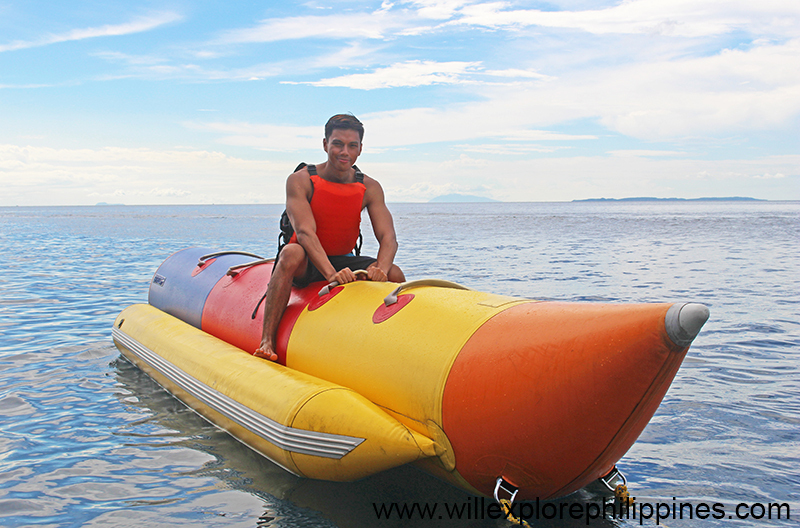 The island has a wide shoreline that is recommended for team building venue and company outing. The rock formations on the side of the island are also picture perfect! There are Ballroom, Conference and Meeting Rooms inside the resort for some corporate and business events. Reservations is always welcome both for big and group events. Massage, Spa and Wellness Services are also available and open for reservation for your well-deserved relaxation and pampering indulgence.